So glad you found us! 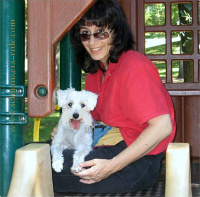 Schnauzers Rule (the website) was founded in 2008 by Miniature Schnauzer owner and enthusiast, dog lover and trainer - Athena, who wanted to provide other Miniature Schnauzer lovers a one stop site for all their Schnauzer needs. See a personal message from Athena below. We hope you enjoy browsing through the many pages of Schnauzer stories and pictures while learning all about this adorable dog breed. I've always had a love for all kinds of animals and have owned everything from turtles, rabbits, ducks, cats, fish, hamsters, and several different dog breeds over the past 50+ years of my life. 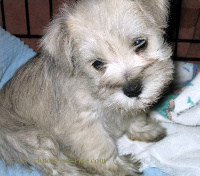 Then I got a Miniature Schnauzer, and that's when I knew... this breed is really something very special. The photo on the right is my adorable Miniature Schnauzer SAMSON. Isn't he just the cutest thing ever! So, I began reading everything I could on the breed and started compiling the information I gathered from my own experiences and from field experts including: dog groomers, veterinarians, rescue specialists, behaviorists, nutritionists, and trainers. I soon realized I wanted to share my knowledge and passion for these little bearded pups and Schnauzers-Rule.com was born. less time on-line and more time on-leash! Arooo! In addition, I would like to encourage all our visitors to participate by sharing your Miniature Schnauzer's photos and stories with us. Just check out the Doggy Fun page for ways you can participate. And finally, I want to hear from you! Yes you! I am constantly updating Schnauzers Rule with new information and want to make sure I cover what's on your mind! So please feel free to Contact Us. And a big 'Aroo' from my Mini Schnauzer, to yours! Having owned several dogs from purebreds to mutts, Athena finds owning man's best friend, a necessary component to living a happy life. Schnauzers-Rule.com is a complete owner's guide to the health and care of the Miniature Schnauzer. This all-inclusive dog website is for the Miniature Schnauzer lover and dog enthusiasts alike. Site visitors learn can learn how to properly groom, train, care, and housebreak their Miniature Schnauzer. There is also FREE obedience and trick training tips, Schnauzer contests, important dog food facts, fun dog craft projects and FREE Miniature Schnauzer e-cards to send family & friends. And it's all waiting just for you at: Schnauzers Rule! Got Schnauzer? Disclaimer: No medical claims or advice is ever given by Schnauzers-Rule.com. The information on our website is provided as informational and educational purposes only. By using the website you acknowledge, understand, and agree that all decisions regarding the health and well-being of your pet are completely your own. At no time is the website information intended to diagnose, treat, or cure your pet and is not a substitute for veterinary care provided by a licensed veterinarian. For any medical or health related advice concerning the care and treatment of your pet, always consult your Veterinarian. Also, keep in mind that veterinary medicine and information changes rapidly, so some information on this website may be out of date. Never disregard professional veterinary advice or delay in seeking professional veterinary assistance because of something you read or saw on Schnauzers-Rule.com. And never give your dog any medication without first consulting with your veterinarian. Click to share your Miniature Schnauzer photos and stories with us! 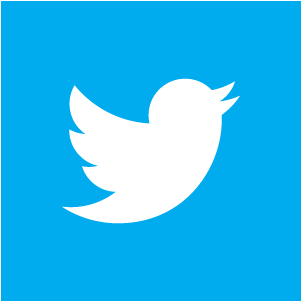 GOOGLE PLUS ONE We would love for you to +1 pages you like throughout our website. It lets Google know you found a particular page interesting... which in turn, helps others find our information on Miniature Schnauzers! Thanks for helping us out and for being a loyal visitor. Aroo!